New! 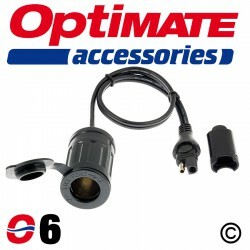 OptiMate 1 Duo features precise microprocessor controlled charging and long term maintenance. 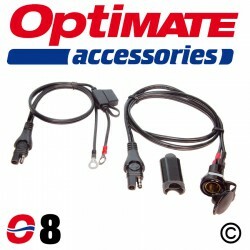 Maintain any type of 12 volt lead-acid battery without overcharging, filler cap / wet cell, sealed AGM (MF) or GEL and 12.8/13.2V lithium (LiFePO4) batteries. 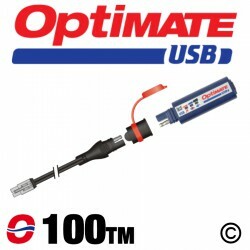 Ideal for vehicles that are seldom or seasonally used, or in storage. 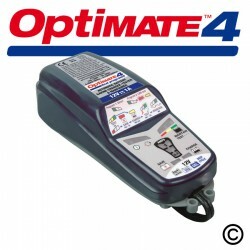 The OptiMate maintenance program delivers only what the battery needs, never overcharges, never undercharges. 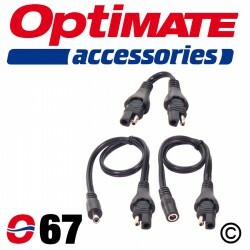 Ideal for: STD, AGM & GEL 12V batteries from 2 – 30Ah and Lithium (LiFePO4) 12.8/13.2V batteries. 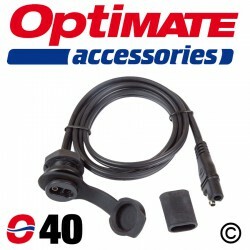 Included: O1 weatherproof battery lead & O4 battery clamp lead included.